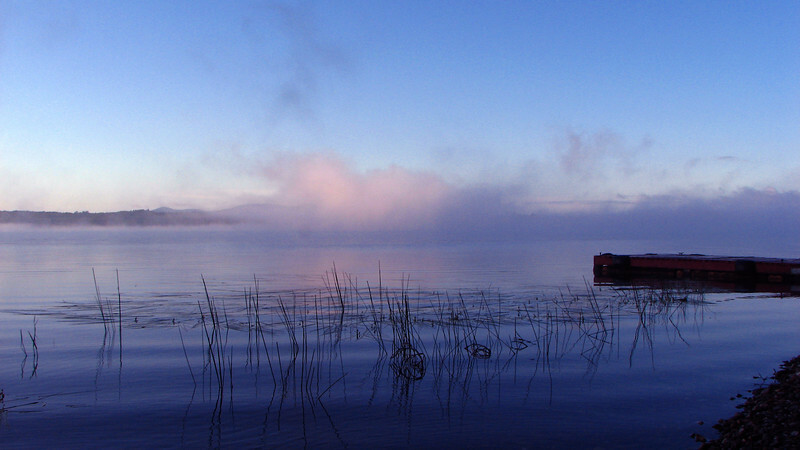 Mystical Morning on Spencer Pond--Taken near dawn on Spencer Pond, ME in July 2007. The world felt silent and peaceful. The only life I could see were two loons that floated by and a bullfrog, sitting near me in the water.